Clear aggressive primer for use on PVC and CPVC pipe and fittings. Lo-V.O.C. Solvent Cement meets California South Coast Air Quality Management District (SCAQMD) 1168/316A or BAAQMD Method 40 and various environmental requirements. Removes surface dirt, grease and grime as well as softens the pipe surface to allow a fast, secure solvent weld. NSF listed. Meets ASTM F656. 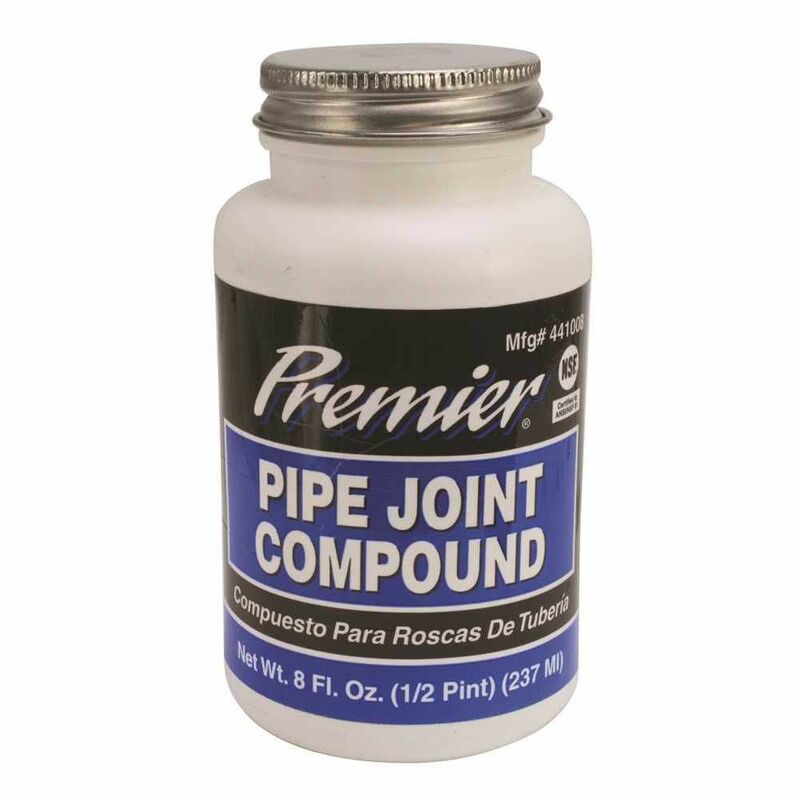 Pipe Joint Compound, 8 Oz. Bottle is rated 4.0 out of 5 by 1. Rated 4 out of 5 by Handygrampa from PIPE SEALANT for GAS The store did not carry the smaller size that I wanted for about1/3 the price. I ordered the 8 oz. size online and it was in my store ready for pickup in 3 days! it is a good product and will seal threads on any type of pipe, gas or water or propane. The joint can be undone at a future date as the product never solidifies, and is more reliable than using Teflon tape!